Angel Matson hasn't added a story. R(a)pel Stigma: GO OVER THE EDGE FOR RECOVERY! R(a)pelling Stigma is a new adventure fundraiser hosted by Penobscot Community Health Care (PCHC) that challenges you to take your community support to new heights! The Over The Edge Experience provides the unique opportunity for individuals or groups to raise funds in exchange for an over the edge adventure - rappelling from the top of the Cross Insurance Center! Like patients in recovery from substance abuse disorder, you only need courage to participate - No climbing or rappelling experience necessary, just enough courage to go over the edge! WHY BE A PART OF THIS EVENT? Substance use disorder is a chronic brain disease that is affecting thousands of Mainers - our neighbors, friends, and families. In fact, nationally 1 in 8 children is living with a parent struggling with some type of substance use disorder. The biggest barrier to treatment is the stigma associated with simply admitting you have the disease. As a prominent member of our community, your words and actions can help us repel this stigma. PCHC is committed to repelling the stigma around this disease and ensuring people have access to treatment. You can help by sponsoring or participating in this event. Help us reach our goal of $100,000 to support PCHC's vast recovery programs, and ensure that anyone, regardless of ability to pay, can access treatment. Let's eradicate this disease, together. Angel Matson hasn't posted any updates yet. 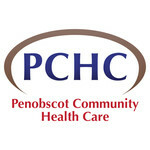 Penobscot Community Health Care is managing the funds for this campaign.